Between us, the Irish Parenting Bloggers have experienced it all when it comes to breastfeeding – babies who latch easily, and babies who have to be coaxed, problems with insufficient milk supply and problems with oversupply, supportive families and unsupportive families, exclusive breastfeeding, combination feeding, and weaning to formula after a day, a week, a month or more. But despite our differences, we have all come together in agreement on one thing – no matter what choices we make or what twists and turns our breastfeeding journey takes, we all deserve to be supported and we should all support each other. It’s World Breastfeeding Week from August 1st to August 7th 2013. This year’s theme is Breastfeeding Support: Close to Mothers. You can read more about it on http://worldbreastfeedingweek.org. The focus is on community support, particularly in the form of peer-to-peer support. To show our support for World Breastfeeding Week, the Irish Parenting Bloggers group is coming together in a blog march about our varied breastfeeding experiences, including our experiences with breastfeeding support in Ireland. 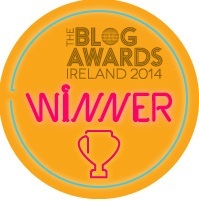 Each day, we’ll be bringing you posts from members of the Irish Parenting Bloggers community. Please join us as we highlight our varied experiences and opinions on breastfeeding.